Urban Atlantic’s investment platform includes a unique breadth of business lines that work together to create and enhance long term value in the communities we serve. Whether structuring finance for internally-sponsored developments or managing third party investment funds, Urban Atlantic is at the forefront of achieving strong social impacts and financial yields for private institutional and family office investors, as well as public partners. Through our Mid-City Community CDE, Urban Atlantic invests funds through the U.S. Treasury’s New Markets Tax Credit (NMTC) program. 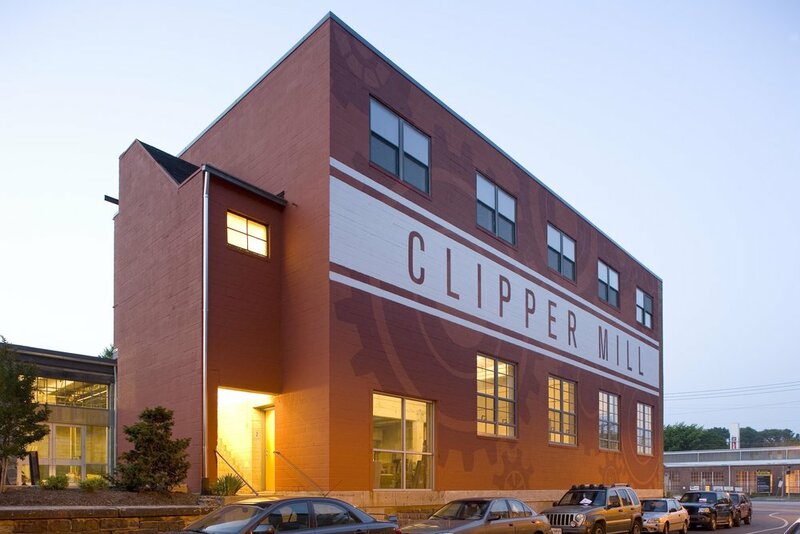 We use NMTC to finance commercial and mixed-use real estate projects and community-based businesses that work alongside housing and infrastructure investments to achieve transformative, sustainable community impacts . Since 2003, we have invested over $260 million in NMTC allocation to finance over $2 billion in real estate and business investments. Our NMTC program is national in scope, and we prioritize investments in local businesses with high job creation impact and a focus on fresh foods, clean energy, and community-based health care, as well transit-oriented development that supports these and other community goods and services in emerging markets. We offer a combination of below-market debt and patient equity investments to projects that demonstrate significant impact and the ability to catalyze further revitalization. Urban Atlantic raises and manages opportunistic real estate funds to support development and acquisition in markets and product types we know well. Most recently, in partnership with the nationally recognized non-profit NHP Foundation, we raised and deployed a $50 Million affordable housing preservation debt and equity Fund. The Fund successfully acquired, renovated and preserved 1500 affordable units in five Maryland and Ohio communities. Urban Atlantic identifies, structures and deploys EB-5 investments in partnership with Live in America’s Washington Metro Area Regional Center. Live in America raises EB-5 funds in support of real estate projects and operating businesses across the country through the Department of Homeland Security’s Bureau of Citizenship and Immigration Services’ Immigrant Investor Program, which was created by Congress in 1990 to stimulate the U.S. economy through job creation and capital investment by foreign investors. EB-5 can provide sizable investments of below-market debt and patient equity to real estate projects and operating businesses that create high new job counts in qualified geographies. Through economic policy research and development, Urban Atlantic remains at the forefront of new and emerging financial products to leverage development and investment opportunities in our target markets. This forward-thinking approach resulted in Urban Atlantic being selected as one of the U.S. Treasury’s first NMTC investment companies in 2003, as well as becoming one of the most frequently awarded allocates over time, having invested NMTC’s to create over $2 Billion in real estate projects and operating businesses. This approach led us into green finance, launching Urban Ingenuity in 2014 to structure Property Assessed Clean Energy (PACE) and other clean energy and energy efficiency financial products. It has allowed us to work with multiple public partners to innovate and improve public finance tools such as TIF and PILOT infrastructure finance; seed grant programs such as HUD’s HOPE VI; multiple HUD mortgage programs; and a broad range of local capital and operating subsidy programs. Most recently, it has led us to commence work with the federal Opportunity Zone program. Our diversified portfolio and disciplined approach results in high yield investments that have transformed communities across the country. View a collection of our development & investment projects.